We love to take this journey to the wedding day with our couples. Getting to know them and their love story gives us an abundance of inspiration for the wedding day. No matter how far away our couples live, they are all a part of our family when the day is over. We view each wedding day in its own light. Each wedding is different, just as each bride and groom are unique. Every Katerina Marie Bride and Groom is welcome to ask for our private vendor recommendations & inspiration link once they are booked. Planning a wedding can be stressful and overwhelming, but we believe it should be fun! That is why we are happy to help answer any questions you may have, even if they are not photography-related and we sit down with all of our couples to design the perfect timeline for their special day. We will help you through every step of the way to ensure your most important memories are documented in timeless fluidity. This is our special package that allows couples with smaller photography budgets the chance to work with Kat. This option is only available for select locations and only a few wedding days each year. If you are interested in this option, please ask availability. 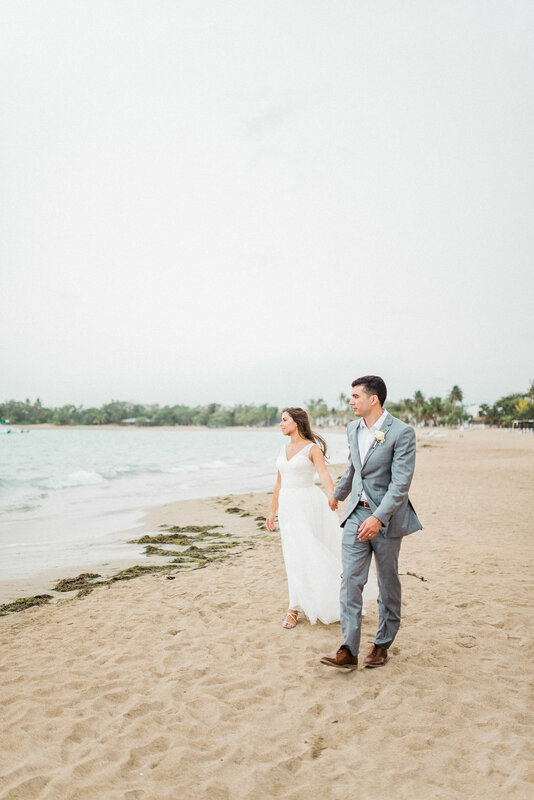 If you don't live in IN and would like to still utilize the complimentary session, we are happy to do an extra session with you when we travel to your destination wedding. I am thrilled to be offering personalized wedding designs to my couples! For years, I have loved styling editorial bridal inspiration shoots and now I can do that for our photography clients! We invite you to utilize my artistic background and attention to detail. My taste in styling represents fine art in the most romantic of ways so my goal is to take your vision and translate it into a timeless event. I love to photograph unique couples that have days that represent who they are and I can’t wait to help our couples build that. My styling ideas are forward thinking so that our couples aren’t repeating details that have been done at a million other weddings already. To learn more about this service, please click here! You love the little details but know that simplicity goes a long way. We believe that images should be natural, romantic and timeless. Our main goal is to capture your love story and the events of your wedding day in as natural a way as possible so that your emotions are pure and real. We have a very simplistic approach to our posing since we have you focus more on each other than our cameras. Our editing style is designed to match classic film so that your images remain timeless as the years pass. Once you book with us, you are a part of our family. Aside from the personal aspect, we know what these pictures mean to you. They are the images you will share with your loved ones for generations to come. They are the art that will adorn the walls of your forever home. That is why we hand-edit each of the best images individually so that no small detail is missed. We truly LOVE what we do and hope that it shows in our images. Although we offer other sessions and milestone packages, weddings are our top priority. We book all other sessions and milestones around our weddings. Once you are officially booked with us, we are available to you. We will send you an email with a link to our preferred vendors and favorite wedding inspiration—this private page is exclusive to our clients only! Our clients come first so we make sure we respond to any emails as soon as possible. We will get to know how you interact and your comfort levels in front of the camera at your complimentary engagement session. If you have already had an engagement session, we highly recommend utilizing this additional session with us so that we can get to know you and you can get comfortable with us prior to the big day. We will help you design your engagement with us so that it stands out and is unique to you. If a bride decides to have a boudoir session prior to the wedding day as a gift for her groom, that will be a one on one session with Kat. In the months leading up to the big day, we will keep in touch (mainly via social media and email). We are always open to help with any questions you may have regarding the aspects of your day. There are no dumb questions so please don’t hesitate to reach out to us! About one to two months prior to the wedding day, we like to sit down with the couple to finalize the wedding day timeline as well as discuss any important details that are being planned. After the meeting, we will send notes from the meeting through email along with a link to our wedding day questionnaire that covers everything from your family shot list to vendor information and your love story. On the day of the wedding, we get right to work upon arrival. Our specialty is natural light so you may or may not see us take out our flashes on the wedding day. Our cameras are fantastic in low light situations so we typically don't grab our flashes unless we feel it is absolutely necessary. After getting our gear set up, we will begin photographing the bridal & venue details. After that, the day starts moving and we will follow along with what is on the timeline. At the end of the night, we'll part with big hugs! Soon after the day is over, you will see a preview posted on our blog of some of our favorite images from your day! Once the rest of the images are edited (approx. 6-8 weeks but can push 12-15 weeks during extra busy times), we will email the full gallery link to you! If you are interested in print orders, you can place those directly through your galleries while album orders can be placed one on one with Kat. We are more than willing to travel for engagement sessions depending on the location! We actually love it when our couples ask us to photograph them in a location that means something special to them! But, if you didn’t already have something in mind, we have various tried and true locations for the wild at heart and the concrete jungle lovers! We book engagement sessions 2-6 months in advance and 30 miles of travel from Noblesville, IN are included. We do offer international and state-side destination engagement sessions as well. If you have booked a wedding package with us, then all you would add investment-wise would be travel fees for us to meet you where your heart is leading! We average 50-100 edited images per hour that we shoot. We select the best digital images from the wedding day and edit them in both color as well as black and white. Any film scans we receive back will be uploaded to the gallery in the format and coloration they were captured in (ex: black and white images only if shot on black and white film or color images only if shot on color film). We love delivering our client’s files quickly and easily via an online gallery. You will have the ability to print, share and download your images as much as you want. We believe in freely sharing our work because that is what we would want if we were in your shoes! We only ask that you and your friends/family credit us when sharing images on social media. We offer a wide variety of printing options so that you can enjoy hard copies of your images. Prints, canvases and other hanging presentations can be ordered directly through your gallery. When you are ready to build a custom album for yourself and/or your loved ones, we will set up a meeting to customize it to your specifications. If you love prints and would like a keepsake box filled with your favorite memories, we offer handmade wooden boxes in various stains and sizes to fill with prints. To learn more about our heirloom albums and keepsake boxes, please click here. If you are not sure how many hours you need us on your wedding day, we are happy to sketch out a rough timeline with you to get an idea of which package would be the best for what you are planning. About one to two months prior to the wedding day, we will sit down for a final planning meeting where we will go over your final timeline. If for some reason you end up needing more time with us because your original plans have changed, we can add additional hours to your time with us by adding the fees per hour to your final invoice (due one month prior to the wedding). We are very up front with our couples about if we think they need more time or not. We want to make sure everything important is captured before we leave. If for some reason you need more time with us on the wedding day, in the case you had a holdup that pushed the timeline back or for any other reason, we are happy to stay longer. In that circumstance, we will take a payment for the additional coverage time prior to leaving via Square. Wedding days are blocked off from all other sessions so we are available for additional time just in case plans change!